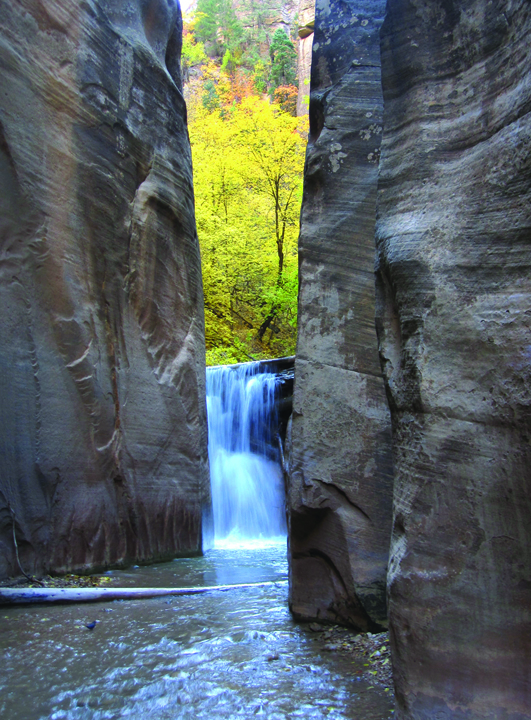 We can’t get enough of that jaw-dropping Utah geology—here’s another gorgeous photo to help kick off your Wednesday. 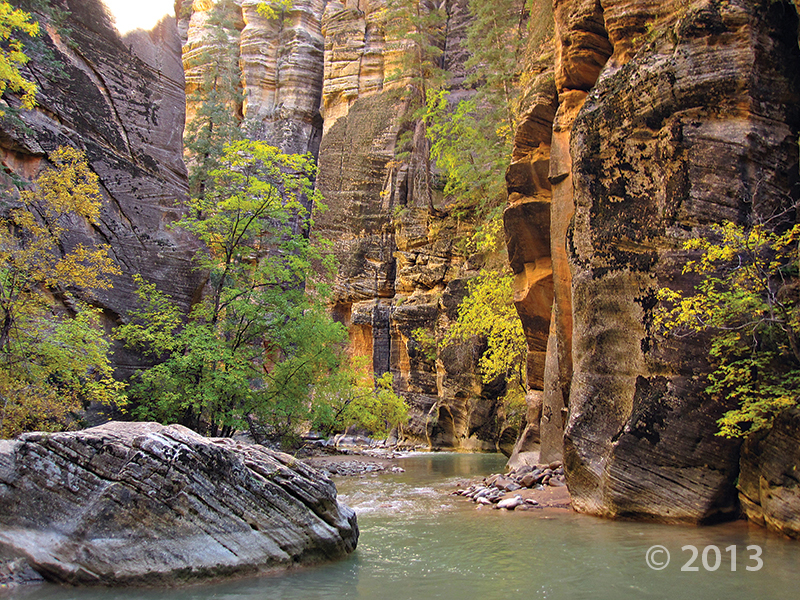 Fall foliage adorns the already colorful walls of Jurassic-age Navajo Sandstone in the Zion Narrows. The North Fork of the Virgin River has cut the 1000-foot-deep Narrows in a relatively short span of geologic time (about 1 to 2 million years). Small waterfall framed by the constricting walls of Navajo Sandstone in The Narrows, Zion National Park, Washington County.